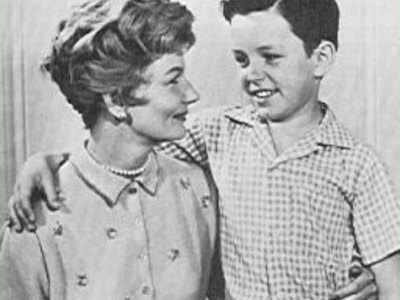 Maybe the greatest television mom of all time died Saturday at the age of 94. Born Barbara Lillian Combes in Los Angeles on Dec. 22, 1915, she was raised by her mother after her parents divorced. She and her first husband, Glenn Billingsley, divorced when her sons were just 2 and 4. Her second husband, director Roy Kellino, died of a heart attack after three years of marriage and just months before she landed the "Leave it to Beaver" role. She married physician Bill Mortenson in 1959 and they remained wed until his death in 1981. Twersky said Billingsley's survivors include her sons, a stepson and numerous grandchildren. It's safe to say that much of the baby boom generation grew up looking upon June Cleaver as the epitome of a great mother. Rest in peace, Barbara...and thank you.